Fish Feeder Project – Part 2 – Completed! 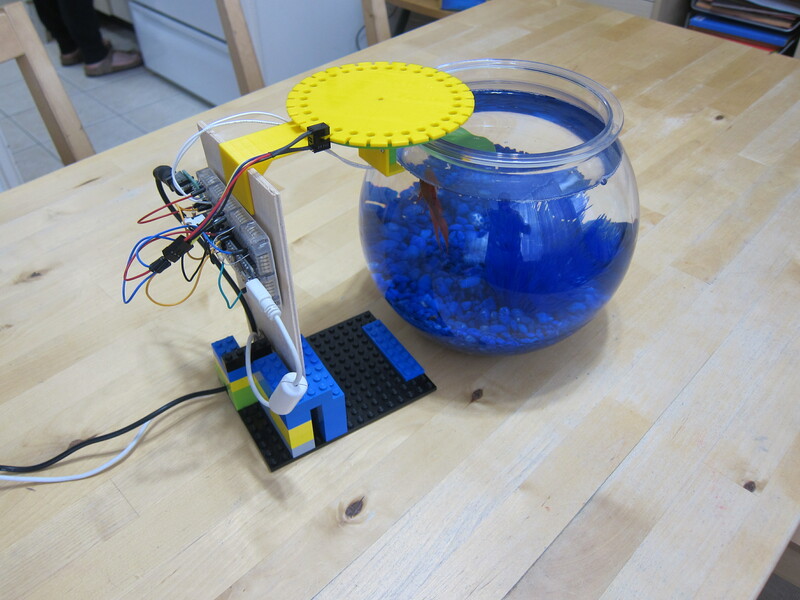 After seeing the simple Automatic Fish Feeder on Thingiverse, I immediately ordered the required parts and set about modifying the design for my purposes. I liked this particular design, as we only have a 2 bettas in 2 bowls, and we need to ensure only a couple of very tiny pellets drop with each feeding. I did want to make a few changes. It was not clear how the motor was controlled in the original design – I wanted to use an optical slot sensor to detect when to start and stop the rotating disc. With OpenSCAD and Inkscape, I modified the original design. I added slots to the rotating disc, which could be detected by the slot sensor, and modified the support to suit my fish bowl. It took some code tweaking to get the disc to stop at every hole. I couldn’t control the speed of the motor with pulse width modulation – perhaps because it’s geared, or there was too much friction, it just didn’t move unless I gave it the top speed. I settled moving the disc in small increments, checking the measurement from the slot sensor, repeating until it sensed it was in the right position. 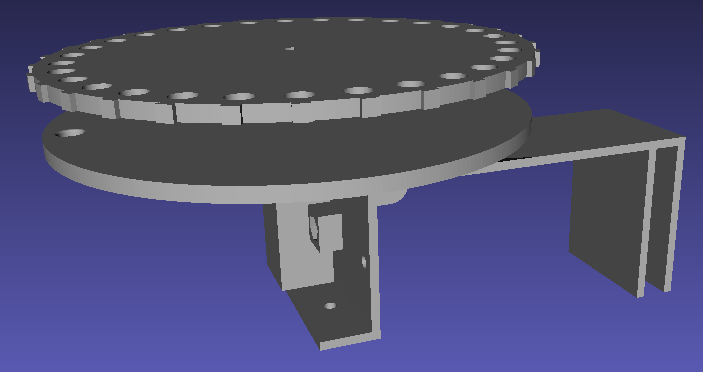 Once built, send a ‘1’ over the serial port to the Arduino, and it will advance the rotating disc to the hole.